Ok, the concept of swimming around in a urine infused pool is disgusting! However, when it comes to the choice between sizzling in the sun and taking a nice fresh dip, there are few of us who can resist – pee or not! 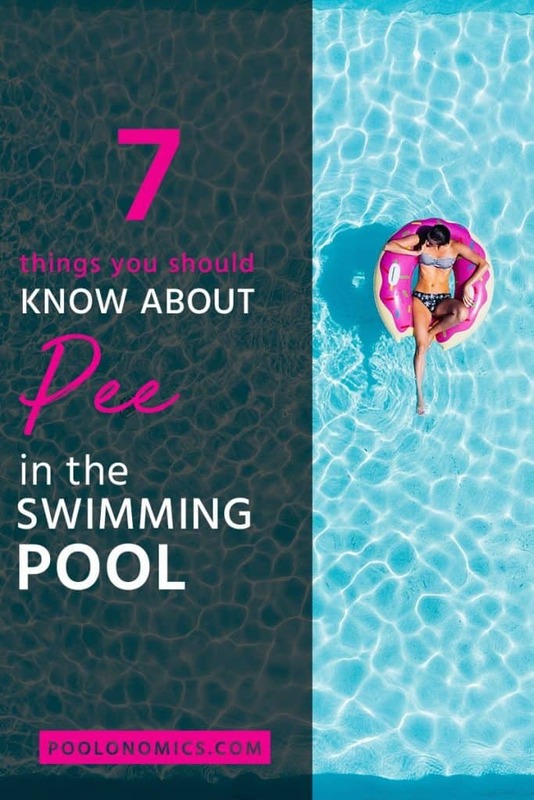 In this article, you will find a list of all of the things you wanted (or didn’t want) to know about the levels of urine found in most pools… Delightful! 1. How Many People Have Admitted To Peeing In Swimming Pools? You’d think there would be few people who would admit to the unsavory act of peeing in the swimming pool, however, some 2012 Olympic swimmers did just that. As it turns out, one in five members of the public openly admit to having peed in the pool in their lifetime! 2. How Likely Are You To Find Pee In The Pool? You will most definitely find pee in any public swimming facility that you go to – it’s a fact. The question is: How much is in there and should you be worried for your health after a swim? In a study from earlier this year, it was found that there were 75 litres of urine in a pool with a capacity of 830,000 litres… That’s not so bad, right? RIGHT! This level of urine isn’t enough to make you instantly ill, although I seriously wouldn’t recommend drinking pool water just to be safe! Besides chlorine YUCK! 3. Can Pee In Public Pools Harm Your Health? As Bear Grylls sometimes demonstrates, getting a little bit of recycled urine in your system will not kill you. However, you mustn’t drink your pee if you can avoid it and you mustn’t drink it more than once or you do run the risk of damaging your vital organs. Urine is actually sterile whilst in the bladder. It’s the urethra and genital tissue it passes through on the way out that can infect it with bacteria or disease. Fear not though, most pools contain chemicals that will kill bacteria. There are rumours of magical chemicals that indicate when a person pees in the pool by turning the urine into a noticeable color. This is a myth! It is undefined where this legend came from, the logic of embarrassing people into using the correct facility for their bodily functions is a pretty good concept – especially for those with small children. You cannot tell how many people have peed in a pool by observation alone. Finding this out requires a lot of research, testing and equipment that unfortunately just isn’t practical to take to your morning dip. A good indicator of someone relieving themselves near you can be temperature changes in the water. Urine leaves the body at just under core body temperature (35.6 Degrees Celsius), so our advice is, if you feel a sudden warmth emerging around you, move away from those surrounding you immediately! We all know that children are serial offenders when it comes to peeing in the pool, and some even let out a little giggle while they do it! Just because it’s a child peeing in the pool, it doesn’t make the concept any more delightful, even if the child is your own. So why not use the water colour changing myth to your advantage to inspire good pool etiquette? There are some children that will test this theory anyway (kids will be kids), however for those with slightly more self-conscious children, it’s the perfect tactic! All you need to do is save a coloured plastic bottle (blue or red works best) and fill it with water. Before your children start splashing, explain to them that if they pee in the pool, the “chemicals” that you have in your bottle will change the colour of the water so you will know who the culprit was. Pour a small amount of water from the bottle into the pool in front of the children to cement your lie that clear is clean and tell the children that the water best be clean by the time they get out as you will be testing it again with your magic “chemicals”. If you are fortunate enough to have a swimming pool of your own, then testing the chemical balance of your pool is a con you’re going to have to deal with at some point. You can do this using a pH testing kit. From the results of the pH test, you will be able to determine whether or not you need to top up your pool chemicals. Unfortunately, unless you’re a mad scientist with an underground lab, you’re not likely to have the facilities to accurately test how much pee is in your pool, however, this video should help you to learn about how urine levels in pools can be determined if you really want to know. 7. Why Do People Pee In The Pool? You’ve got to admit, peeing in the pool is disgustingly quite common and (in some social circles) reasonably socially acceptable. Usually when in a swimming pool, you’re enjoying some well-earned you time, so why would you want to disturb it by going to the toilet…right or wrong? These aren’t really valid reasons to go spreading urine over the local baths, but they’re explainations that give a bit more insight into the pool pee-er’s mindset. You may have heard different answers to the question: why do people pee in the pool, but let’s be honest, nine times out of ten, there is just no need for it. Unless your splash zone is private, there is nothing you can do about people peeing in the pool. Don’t let this put you off going for a gym swim or enjoying a dip on your next holiday though. 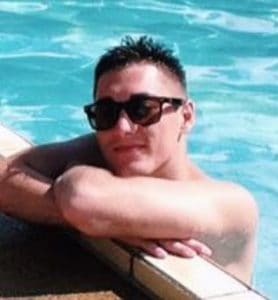 As I said before, the average pool doesn’t contain a damaging amount of urine and certainly isn’t likely to make you ill.